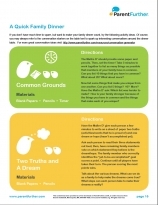 Download my family dinner kit! 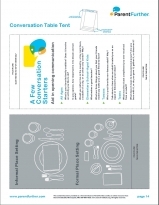 Gathering for a meal is more than just eating--it's a time when everyone can gather to talk about what's going on in their lives. 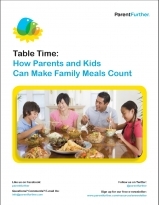 This Family Dinner Toolkit can help you make the time parents and kids spend together count! Family dinners are important. 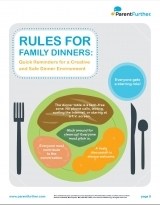 Research shows that kids in families that frequently eat together tend to get better grades and are less likely to use alcohol, drugs and tobacco.